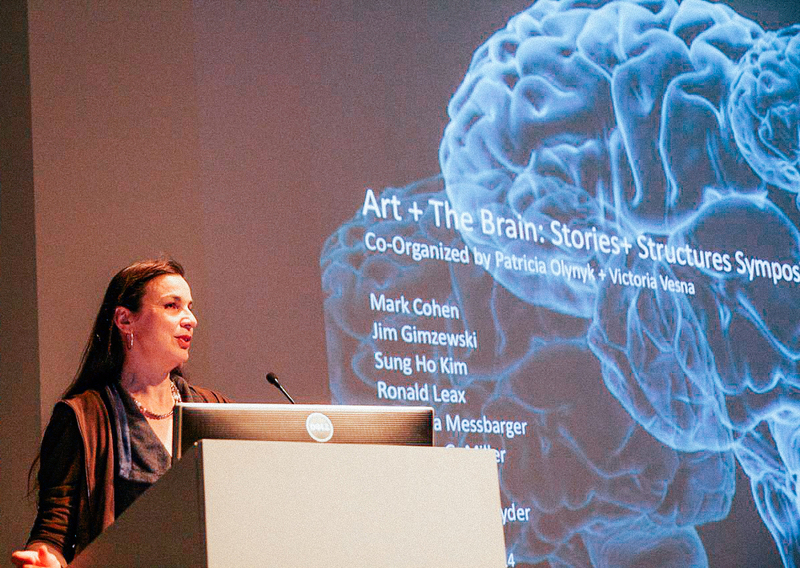 Co-organized by Patricia Olynyk (Washington University, St. Louis) and Victoria Vesna (University of California, Los Angeles), Art + the Brain: Stories and Structures explored the complex histories, practices, and interconnections between art, architecture, medicine and neuroscience with the human brain as a central focus. From the metaphorical potency of anatomical art to stories that probe decision circuits and mirror neurons in monkeys, to revolutionary biological visualizations of the dynamics of cellular and sub-cellular structures, . six speakers from Washington University’s Art|Sci Fellows Program joined faculty and students from UCLA for a lively exchange of ideas over the course of a one and a half day symposium.